When it adopted rules last year to permit new marijuana businesses in Boston, the Walsh administration imposed a buffer zone to keep neighborhoods from being overrun by pot shops. 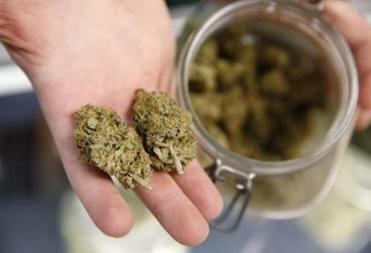 Now that word “existing” is causing confusion among city officials, who are scrambling to figure out how strictly to interpret the regulation as two applicants are competing to open a retail marijuana shop in the same neighborhood in East Boston. The proposed locations are about four-tenths of a mile apart, in and near Maverick Square, yet the administration has signed a host agreement with each applicant, a critical step required by the new marijuana law that allowed both companies to move forward in the process. 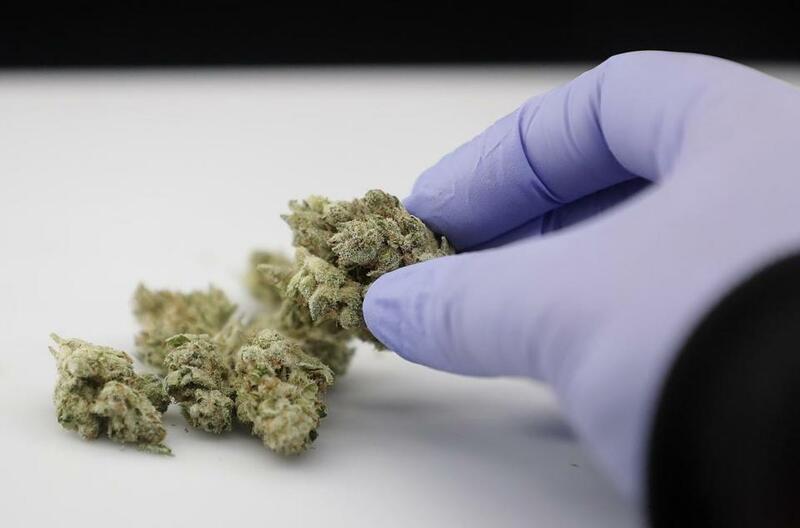 The confusion over which business had first dibs erupted at a contentious hearing this week of Boston’s Zoning Board of Appeal, generally the last city approval that marijuana applicants need before applying to the state Cannabis Commission for a license. The board was reviewing variance requests from each pot applicant, but took them in the order they appeared on the ZBA’s agenda — and this turned out to be an important determinant. At one point in the hearing, Erlich sought clarification from a Walsh administration official. “The mayor’s office is supporting two programs that are less than a half a mile apart?” he asked. The official, a representative from the city’s Office of Neighborhood Services, responded, “Yes . . . I mean . . .” his voice trailing off before he sat down. As it turns out, the first applicant on the ZBA’s agenda, Berkshire Roots Inc., got its expected approval. And that meant the applicant that immediately followed, East Boston Bloom LLC, did not. Unsure whether it could issue a variance to a second pot business within the half-mile buffer, the zoning board deferred the decision on East Boston Bloom until April. The confusion angered City Councilor Lydia Edwards, who represents East Boston and was supporting the application of East Boston Bloom. She called on the board not to handicap East Boston Bloom because it came after its competitor on the board’s posted agenda. “I’m asking for today that you do not apply the half-mile buffer now, literally seconds after approving one, to say, ‘Oh well, you’re in violation.’ They didn’t control who got in line to speak to you today,” Edwards told the board. She was also critical of the Walsh administration of not making a choice between the two businesses in the first place, and leaving it to the ZBA to figure out which applicant gets to go first. In her view, the city should have naturally favored East Boston Bloom, a locally owned business that includes Latinos and a veteran among its leadership. Berkshire Roots is based in Pittsfield, and its cofounders include Andrea F. Nuciforo, who was a state senator for Western Massachusetts for a decade. Moreover, Walsh’s office says the ZBA can waive the buffer zone requirements and grant variances for both marijuana applicants. Not that this would make the issue any less contentious for the ZBA — and for residents of the neighborhoods where pot shops want to open. At the hearing Tuesday, Edwards and some dozen residents encouraged the ZBA to consider both applicants at the same time, rather than one before the other. Instead, the ZBA heard each case separately, and residents stood in support and opposition of each applicant, frequently yelling at one another and the applicants themselves. With the board’s vote, Berkshire Roots cleared an important hurdle and can now apply to the state for a license to open. As such, it has a pretty big leg up on East Boston Bloom, which now must wait until April 9 for its next hearing before the zoning board. Between now and then, the board is expected to ask for clarification from City Hall. After the meeting, Erlich, the acting ZBA chair, was asked whether City Hall should have clarified the buffer requirement before signing host agreements with both East Boston applicants. His only response was to nod yes.